I have done a few reviews on the Apple iPad clones here on Top China Tablets but the Chuwi V88 will be the first review on an China Android Tablet PC that is basically a clone of the Apple iPad Mini. Like the iPad Mini, the Chuwi V88 has a 7.9″ display with a 1024 x 768 pixel resolution. This also means that like the iPad clones, the display on the tablet has a 4:3 aspect ratio instead of the more common 16:10 or 16:9 ratio for Android tablets. 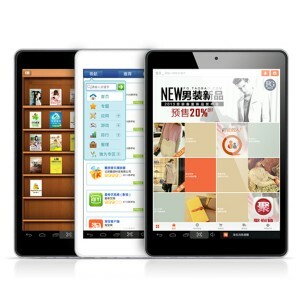 The Chuwi brand is a relatively new brand among the Chinese tablet manufacturers. 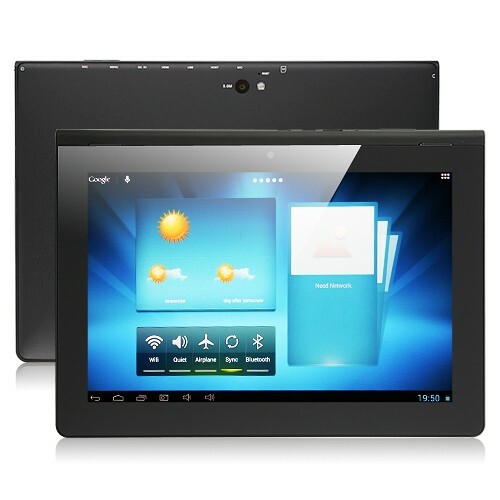 However, Chuwi’s other tablet products like their iPad clone, the Chuwi V99, received generally good reviews. I personally gave the Chuwi V99 a respectable 4 stars rating on my review. Therefore, I have high hopes for the Chuwi V88. AliExpress has numerous retailers that are offering the Chuwi V88 at a great price and some even have free international shipping thrown in. 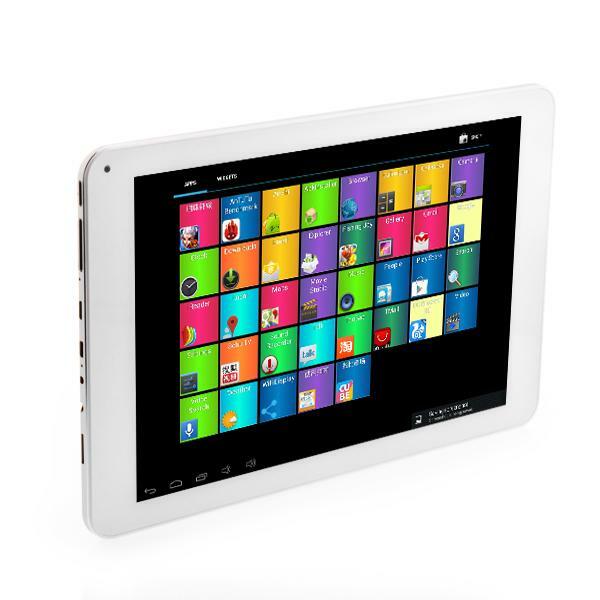 The Chuwi V88 comes in what has become standard packaging for most China tablets. It is packed in a simple box with a small storage space under it for a micro-USB cable and also a USB-OTG cable. Besides that, there is also a user manual. The charger and adapter comes in a separate box. The Chuwi V99 had good build quality and I am happy to note that so does the Chuwi V88. It is about the same size as the iPad Mini and it has a slightly curved Aluminum back cover, all very iPad Mini like. The tablet is well constructed and on my unit, there is no backlight bleeding visible at all. The reason I brought this up is that I read a few complaints about backlight bleeding around the edges on some of the earlier units. Such complaints seems to have died down of late. The screen resolution is not as high as many of the other tablets I have reviewed so far and you can definitely see the individual pixels. For comparison purpose, many of the slight smaller 7″ tablets come with a higher 1280 x 800 resolution display. However, the IPS display is a good quality one with high brightness and great viewing angles. On the right of the tablet’s top edge are the power and volume rocker button. On the left side of the tablet are the microSD slot, microphone, 3.5mm audio jack, DC power in, microUSB OTG and HDMI port. There is also a single mono speaker at the back of the unit. 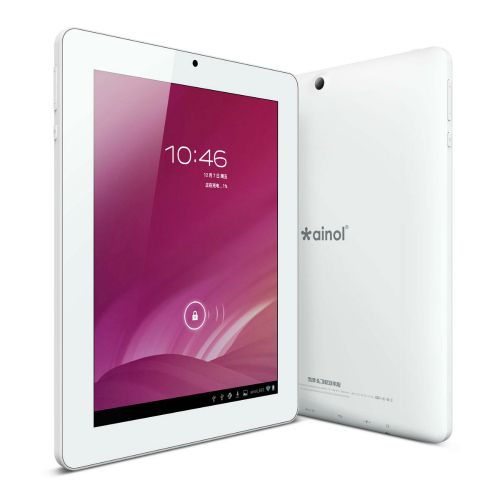 How does the Chuwi V88 compare with other tablets? The Chuwi V88 has a quad-core Rockchip RK3188 ARM Cortex-A9 CPU with Mali400 MP GPU. 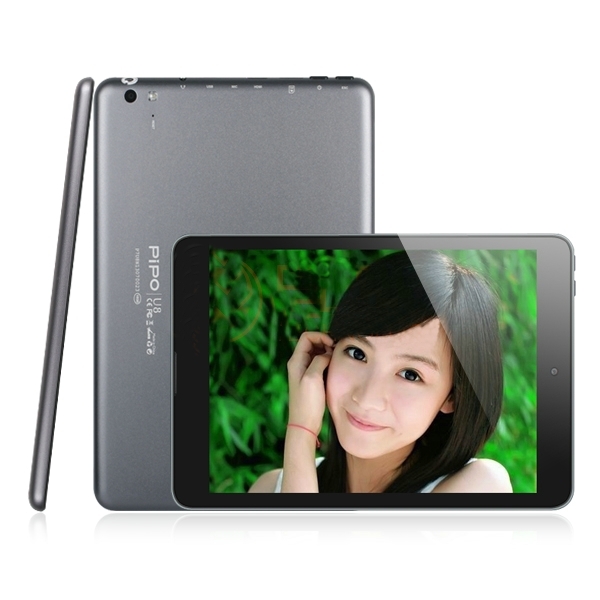 The Rockchip RK3188 is the most popular quad-core chipset for the China Android tablets. 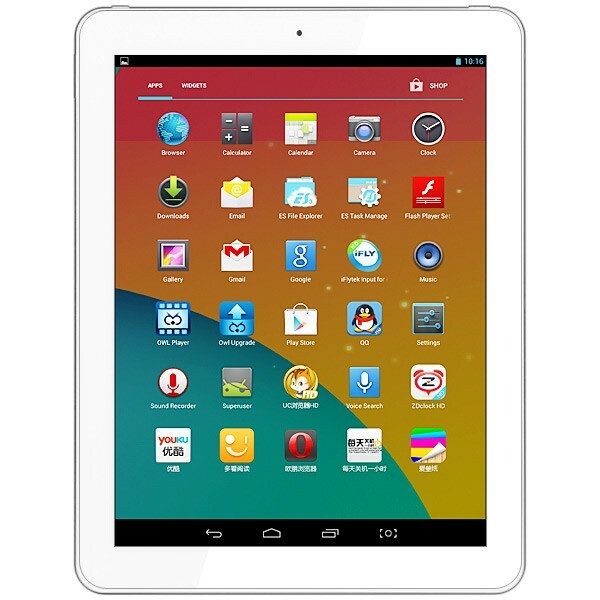 Popular is good as this means that support from the open source community is good if you want to root the tablet or replace the firmware with a custom firmware that improves the performance of the tablet. For RAM, the tablet comes with either 1GB or 2GB depending on the version. I recommend going for the 2GB version as the extra RAM does improve performance significantly. From what I have seen online, the price difference is between $10-20. ROM is either 8GB or 16GB depending on the tablet version. If you need more storage, you can always add a microSD card (up to 32GB). My Chuwi V88 comes with Bluetooth V4.0 LE. Bluetooth does not seem to be standard and it is possible that it is only included with the 2GB version. However, I cannot confirm this so it is best that you check with the vendor before buying if Bluetooth is important to you. If the 2GB version comes with 8GB of extra ROM plus Bluetooth, it is definitely worthwhile to fork out extra. The Chuwi V88 has dual cameras. A 2MP front facing one and a 5MP at the back of the tablet. The tablet has no LED flash although this is not a big loss. The Li-Polymer battery capacity is 5000 mAh and it is rated at 4-5 hours which seemed rather short to me. Since the Chuwi V88 comes with a RK3188 quad-core chipset and only a 1024 x 768 resolution screen, I expected the tablet to perform rather well. This is because the RK3188 is a good chipset but stutters slightly when paired with high-resolution displays. The good news is that the Chuwi V88 performed very well generally. It has no problems when browsing web pages with a lot of graphics or Flash content. Loading is very fast and scrolling is smooth like butter. I can open multiple tabs on the browser and quickly switch between them. I suspect this is where the 2GB RAM helps and performance will not be as good on the 1GB version. Moving on to gaming, the Chuwi V88 can handle both casual gaming and 3D gaming pretty well. I won’t say that there is no log at all with 3D gaming but it is minimal and does not interfere with the gaming. However, there are games that do not play nicely with the Chuwi V88 and suffers from extensive lag. Since graphically intensive games like Dead Trigger run without any issues, it could be that these games are not optimized for the Mali 400MP GPU on the RK3188. Video playback is also a bit of a mixed bag. Most of the video files play without any issues but I did encounter issues with a few MKV files. I suspect this is more of a firmware issue as one of these files is only a low bitrate 720p file which shouldn’t pose any problems for the RK3188. The other thing I would like to highlight is that many videos will play with horizontal bars because of the Chuwi V88’s 4:3 ratio display. WiFi performance is good although not excellent. I can pick up most of the access points from my neighbors and I can still get a weak connection with 2 concrete walls and a floor in between. Unless you live in a huge home, WiFi should not be a problem. The Chuwi V88 comes with Android 4.1 installed but there is a 4.2.2 firmware update available. The new firmware supports multiple windows. Link to the firmware download and update instructions can be found here. 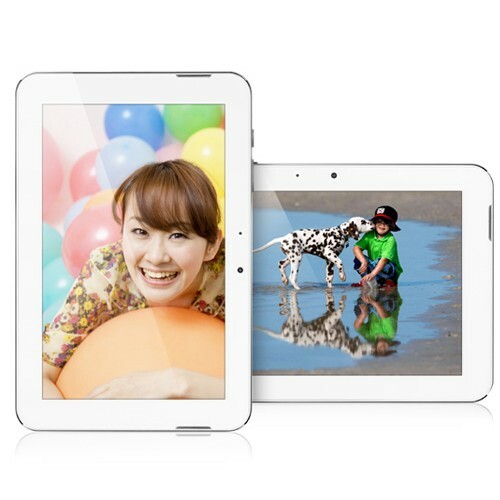 The cameras on the tablet are the usual average quality cameras found on China tablets. The front facing camera is adequate for video calls but that is about it. The rear camera takes decent photos but only under good lighting conditions. Video quality on the other hand is really poor with a lot of noise and washed out colors. Last but not least, I actually managed to get 5-6 hours of battery life under heavy use. That means a lot of 3D gaming, full brightness and WiFi switched on at all times. This is definitely a pleasant surprise. With brightness at half and lighter use (web browsing and e-book reading), the battery can be stretched to 8-10 hours. The Chuwi V88 cannot be charged using the USB port which can be a hassle. You will need to bring along the included charger. I have read online that if you have at least a 2.5A USB charger, it is possible to charge the tablet via the USB port. I do not have suitable charger to test this out. The Chuwi V88 is a great effort from Chuwi with great performance, good built quality at a low price that is straddling between our budget and mid price range. The 1GB version can easily be found at under $150 but the 2GB version is just above our budget $150 price point. The inclusion of Bluetooth 4.0 at this price point is a huge plus point for those who need it. The screen resolution is a bit lower then usual but if it is good enough for Apple, it should be good enough for us, right? Sarcasm aside, the lower resolution does improve the performance of the RK3188 chip. However, bugs in the firmware has caused unexpected performance issues with gaming and video playback. This only affects a handful of games and video files. The Chuwi V88 is not perfect but I believe that its main issues like video playback and 3D gaming will eventually be resolved either through official firmware from Chuwi or custom firmware from the open source community. Chuwi is currently providing strong support for the tablet having released 3 official firmware updates since the lauch of the tablet. Very good review! 🙂 This is the regular V88? Not the “Ice Green” one? Guess it must be so, just want to confirm since you mention the lightbleeding which I have read more of regarding the “Ice Green” edition. Yes, this is the regular V88 in white. Is there any difference with the Titanium Ice Green version besides the color? I own this tablet and the performance is good but the display has a few bubbles in it and a few wave like shadows.when it shows a white background. The micro sd port allows the sd card to stick out which isnt good and my tablet does not hold the sd card, it keeps popping out. I just purchased this so it is a new one. For the price it is generally a good tablet except for the problems above. The rumour said so from the beginning, thinner, buttons placed different. But after reading around a littl I think you’re right, it seems like only the color might have been changed really. There seems to be a thickness difference between the 1GB RAM versions and the newer 2GB versions with the 2GB versions being slightly thinner plus it has Bluetooth. Based on your reply above, you may be right about the differences but it looks like it is not limited to just the Titanium Ice Green version. However, this is just a speculation on my part as I do not have the 1GB version for comparison.